McIntosh is the co-founder and president ICE. 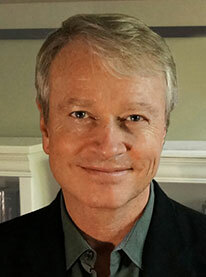 He is a leader in the integral philosophy movement and author of three acclaimed books on cultural evolution. McIntosh’s innovative political thinking has recently been featured on NPR, The Daily Beast, The National Journal, The Hill, and in a wide variety of other media. He is the author of numerous influential political articles including: Overcoming Polarization By Evolving Both Right and Left, Why Centrism Fails and How We Can Better Achieve Political Cooperation, and Depolarizing the American Mind. In addition to his leadership of ICE and his work in philosophy, he has had a variety of other successful careers, including founding the successful consumer products company Now & Zen, practicing law with one of America’s largest firms, working as an executive with Celestial Seasonings Tea Company, and Olympic-class bicycle racing. McIntosh is an honors graduate of the University of Virginia Law School and the University of Southern California Business School. McIntosh became a dedicated scholar of philosophy and religion in his teens. He was especially drawn to the evolutionary philosophy of Pierre Teilhard de Chardin, and later to the work of Alfred North Whitehead, Ken Wilber, and Holmes Rolston. In the early 2000s he joined Wilber’s Integral Institute think tank, but left on good terms in 2003 in order to make an independent contribution to integral philosophy. This began with his first book, Integral Consciousness and the Future of Evolution: How the Integral Worldview is Transforming Politics, Culture, and Spirituality (Paragon House 2012). This was followed in 2012 with his second book on integral philosophy, Evolution’s Purpose: An Integral Interpretation of the Scientific Story of Our Origins (Select Books 2012). 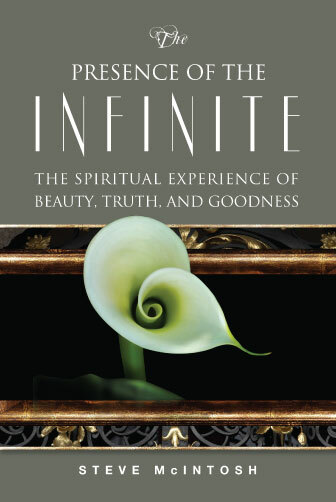 Then in 2015 McIntosh published The Presence of the Infinite: The Spiritual Experience of Beauty, Truth, and Goodness (Quest Books 2015). 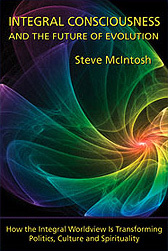 In addition to these philosophy books, since 2012 McIntosh has focused on developing the political dimension of integral philosophy, the results of which can be seen in the publications section of this website. Upon graduating from law school in 1987, McIntosh became a member of the California bar and began practicing corporate law with Pillsbury, Madison & Sutro, the state’s largest law firm. In 1990, after three years of law practice he was recruited to become Vice President of a start-up environmental products company in Boulder, Colorado called Earth Wise. Then in 1991, Earth Wise was acquired by Celestial Seasonings tea company where he served as Director of Corporate Development and General Counsel. In 1995, he left his position at Celestial Seasonings to found Now & Zen, Inc., a brand of “natural lifestyle products,” featuring the famous line of Zen Alarm Clocks, which McIntosh conceived, designed, and patented. In 2012, McIntosh stepped down from his position as CEO of Now & Zen to co-found ICE. After graduating from high school in Los Angeles where he grew up, McIntosh received a bachelor of science in business administration from USC in 1984. His major emphasis was in USC’s Entrepreneur Program, where he received the program’s highest honor: The Best Business Plan Award. In 1987 he graduated among the top of his class from the University of Virginia Law School where he served as Articles Editor of the school’s prestigious law review. Since the completion of his formal education he has continued to educate himself through voracious reading and extensive travel. In the 1970s he was active in the counter culture, and traveled extensively in Europe. Beginning in 1979 he dedicated himself to bicycle road racing, winning major races throughout North America in 1980 and 1981. Then in 1982 he became a member of the world’s first factory sponsored mountain bike racing team. After graduating from law school in 1987, he traveled throughout Asia and spent a month in Tibet, reaching the 20,000 foot level on Mt. Everest. McIntosh married in 1989, and had a son, Ian McIntosh, in 1992. He was divorced in 1994, after which he became the sole custodian and primary parent of his son. In 1999 McIntosh met the love of his life, Tehya, whom he married in 2003. Then in 2005 Tehya gave birth to Peter McIntosh, the couple’s first child and Steve’s second son. Since 2008, the McIntosh’s have divided their time between their Victorian home in downtown Boulder, Colorado, and their desert retreat—an off-the-grid yurt on 5 acres in Castle Valley, near Moab, Utah.